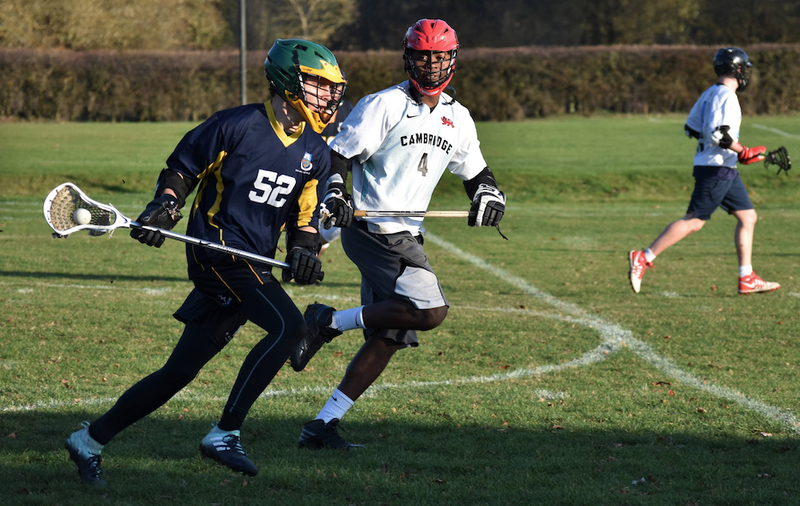 UEA Men’s Lacrosse second team have completed their inaugural season in the South of England Men’s Lacrosse Association (SEMLA) East Anglian Division 2. 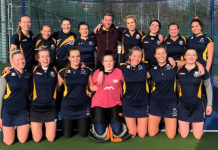 And UEA got a superb 4-3 win in their penultimate fixture, at home to eventual league champions Milton Keynes, avenging their defeat in Buckinghamshire earlier in the season. UEA fielded a strong team for the clash, with several first team regulars returning early from their Christmas breaks to regain match fitness ahead of a final run of BUCS fixtures which should see them stay up in Midlands 1A. 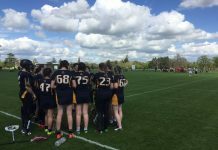 They were joined by a number of new and fringe players, some of whom have gained considerable experience in SEMLA this year, plus a trio of UEA alumni who have been able to continue their association with UEA Lacrosse through the Saturday team. UEA went 2-0 up through Travis Payne and Sean Cullum, but were pegged back to 2-1 by the end of the first quarter by Jacob Nichols Cook, who also represents Nottingham Trent University. An unanswered Jack Gambrill goal for MK in the second quarter saw the sides go into the halftime break level at two apiece. The game was won in the third quarter, with Payne grabbing another and fresher Connor Watson netting his second SEMLA goal of the season, but Gambrill’s second kept the visitors within touching distance. However, UEA’s solid display in the fourth quarter saw them close out the win and prevent any more goals as both teams tired, the visitors’ smaller squad particularly running out of steam. Despite being scrappy in places, the game could well have yielded a higher scoreline. Goalkeeper Charlie Albuery was solid for UEA while man of the match Benz Josiah was excellent in the home defence. However, Milton Keynes’ forward line will be disappointed they didn’t test Albuery more. Cullum, playing his penultimate match for the club, could also have finished his Colney Lane career with even more of a bang after a mazy solo run, but was denied a shooting chance by the visitors’ organised backline. 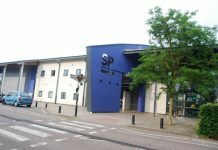 The following week, while Milton Keynes were seeing off Cambridge to claim the East Anglia Division 2 title, UEA visited Hitchin’s second team. Despite a 23-0 loss, honours remained even for the season after the Hertfordshire side forfeited their planned visit to Colney Lane at the start of the campaign. The establishment of a second men’s side this year is the first time UEA Lacrosse has entered a team into the local adult league. It follows the successful introduction of a second women’s team last season to allow more players valuable game time as the club continues to grow its membership. The season has also seen closely contested matches for UEA men’s seconds against Cambridge University’s second side which have been very useful in getting minutes into fresh legs, including a tight 12-11 away defeat which saw several players score their first Lacrosse goals. UEA SEMLA captain Ethan Brickwood, himself a first year, praised a number of players new to the club who have made progress this season including Watson, Josiah, Dumitru Bandol, Paddy Watt and Euan Dickson. He reflected: ‘Some of them rival the BUCS boys now, having played five or six games in their life. That’s a huge achievement and I think it goes under the radar sometimes how much they’ve improved. On the Milton Keynes victory, Brickwood added: ‘It was big news, a huge thing to come away with the win. Team spirit went through the roof and I was just happy to be a part of it. ‘[Milton Keynes’] offence as a whole was quite difficult to handle, they have quite a few different types of players. But our defence really stepped up, with some huge plays from everyone. I was over the moon with that.